Lezlie Cobb is the creative spirit and founder of Carmella Designs, LLC. This jewelry design business was created for fashion conscious people who appreciate the beauty, value and significance of one-of-a-kind jewelry. No two pieces are ever alike, each pendant is fully interchangeable on most of the necklaces. They are uniquely constructed to work alone or to accept a pendant, creating one’s own design. Lezlie’s jewelry is truly versatile. Perhaps Lezlie began to develop her appreciation for gemstones back in the days when she was enamored by the New Age crystal craze of the 1980’s and 90’s. Back then, she was a bit of a free-spirit and she never lost that excitement and that willingness to allow her gift to guide her. But she has matured and combined that instinct with study and exposure which has led to a much greater understanding of gemstones. The free-spirit in her has led her to seek and discover new experiences…. And always new gems. Lezlie has lived all over the country taking in all its diversity and beauty. She especially loves to travel with her husband and Standard Poodle. In fact, it was on a trip to the Northern Coast of California, in Carmel, that a close friend persuaded her to start a jewelry business and the name Carmella Designs was born. Wherever she goes, she is always looking for new discoveries. Her home is filled with catalogs and photographs of stones acquired from her research and travels. She hand-picks every single one of the gemstones, pearls and diamonds that will become part of her jewelry, ensuring that each piece is unique and set apart from the rest. She has a passion for art and attention to detail, and it comes through in each unique design. Lezlie loves her work, an inseparable extension of who she is, deeply influenced by a love of life’s beauty and wonder. She fills each of her creations with positive intentions. She has turned this passion into an entrepreneurial adventure. includes gemstones, fresh water pearls and diamonds. All materials are sourced from the most reputable vendors worldwide. The prices are commensurate with the quality of the jewelry design. 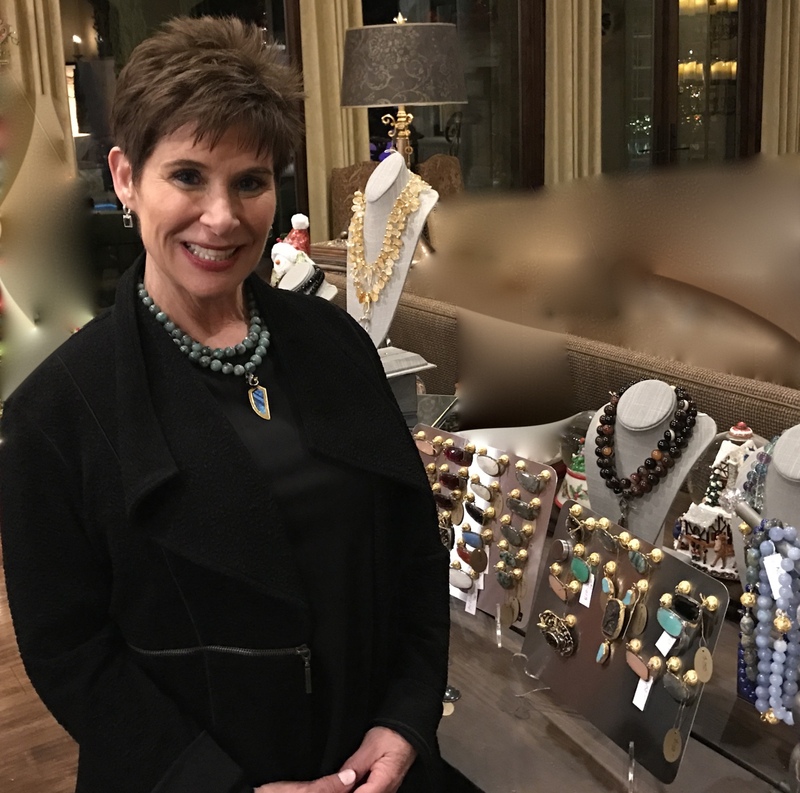 Based in Fort Worth, Texas, Lezlie does Trunk Shows around the country. She is a member of the MJSA trade association for professional jewelry makers and designers. She is a member of SNAG metalsmiths organization, which supports and advances the professional practice of artists, designers, jewelers and metalsmiths. Also, she is a member of the Fort Worth Chamber of Commerce.